Fretting over your Christmas holiday meals? 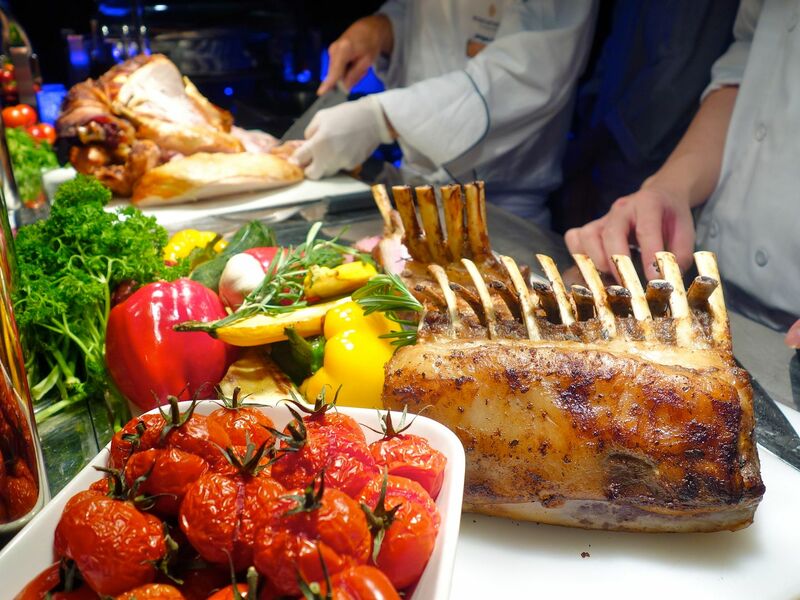 InterContinental Hotels Group may likely be your one-stop shop for all festive offerings from savories to sweets, traditional Christmas flavors to localized Singaporean ones. InterContinental Singapore will be my top choice for a perfect Christmas meal around the fireplace (if only i have one at home). The Maple Wood Bacon-Wrapped Tom Turkey ($168 for 5kg) is by far the best turkey i've had all season. Wrapped with decadent strips of bacon and slow-roasted to perfection over maple wood, the juicy meat was more chicken like than typical dry boring turkey. Each order is also served with sides including charcoal-baked potatoes, winter vegetables, mushroom stuffing and giblet gravy- a hearty meal on its own. 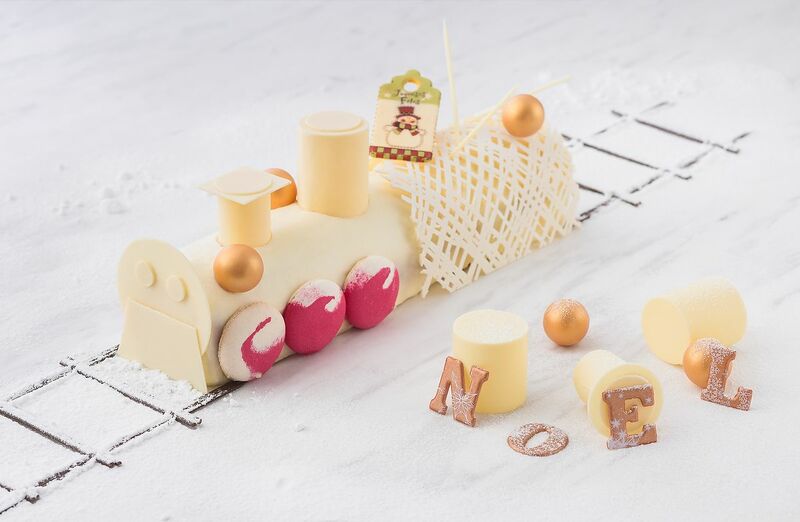 The desserts by Pastry Chef Ben Goh and his team will sweeten your holidays. I highly recommend the Buche de Noel White Yule Log (1kg for $68), which comprises a moist red velvet sponge layered with lemon curd, sheathed beneath a beautiful layer of cheese frosting. The sugar free Framboise of the Wild Forest (1kg for $68) offers a guilt-free choice which comprises a chocolate mousse, sugar-free chocolate ganache, centred with a raspberry confit atop a crunchy chocolate biscuit base. 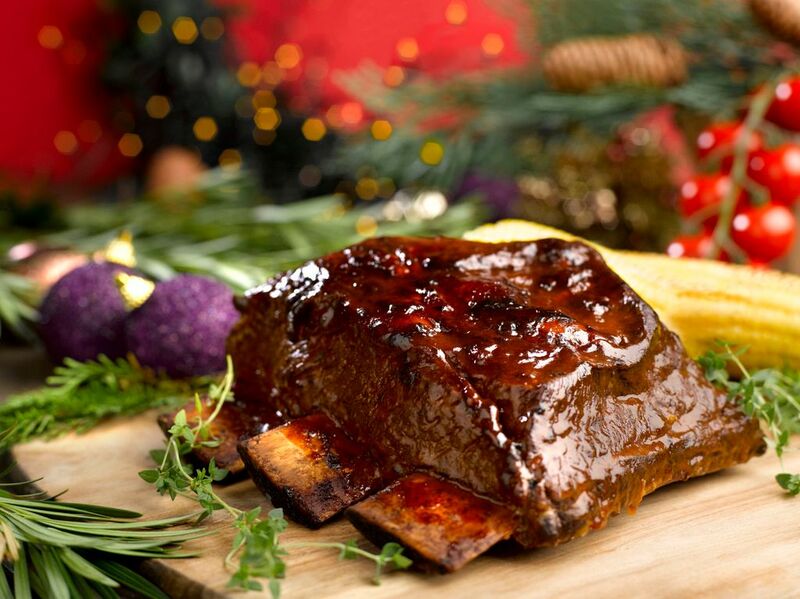 Meat Lovers, there's no looking further than Crowne Plaza Changi Airport for the best Christmas roasts. OMG THAT BBQ GRAIN-FED BEEF RIBS (1.2kg for $118) is DA BOMB. Sous-vide for 24 hours, it falls right off the bone with a light tug of the fork. If you don't like the tangy BBQ sauce, there's also the Roast version that is paired with the palatable mushroom duxelle and red wine shallot gravy. 1.2 kg). The meat is marinated overnight in a blend of Asian spices including lemongrass, blue ginger and dried chili. 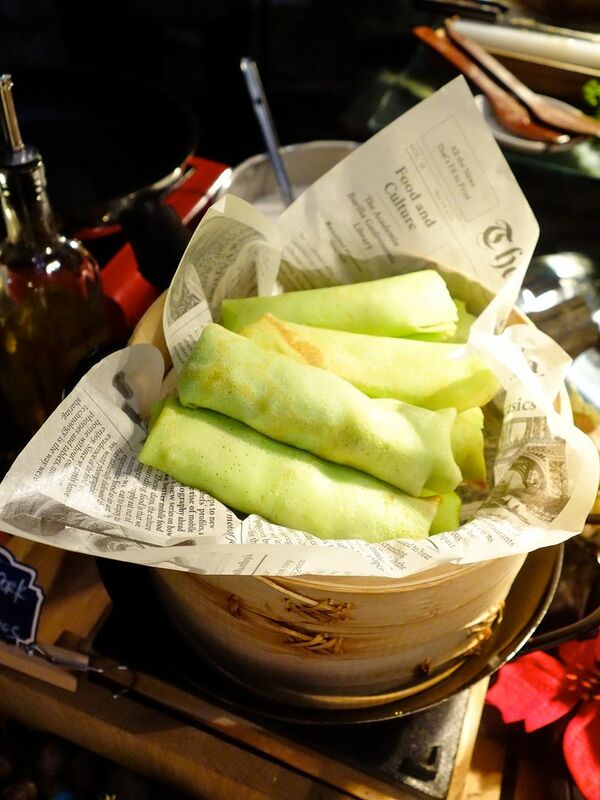 It tastes divine when paired with the accompanying creamy and chunky peanut sauce. BEST SATAY EVER. Crowne Plaza Changi Airport even got the chicken covered with their flavourful Three-Cheese Chicken Roulade (1.5kg for $88). That indulgent combination of boursin, red cheddar and smoked havarti cheese makes a delicious, melty filling in this chicken leg roulade, which is baked to golden brown perfection. What is Christmas without ham! 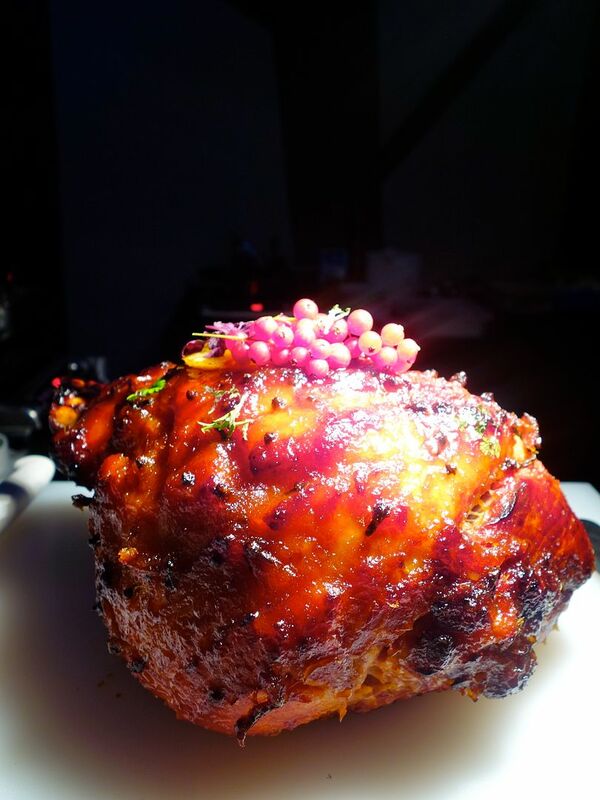 I enjoyed the Baked Gammon Ham with Sarawak Honey Pineapple Glaze (3kg for $108) which was more refreshing than the usual cured meat. Holiday Inn Singapore Atrium's mousse log cakes also departs from the usual heavy flavors. 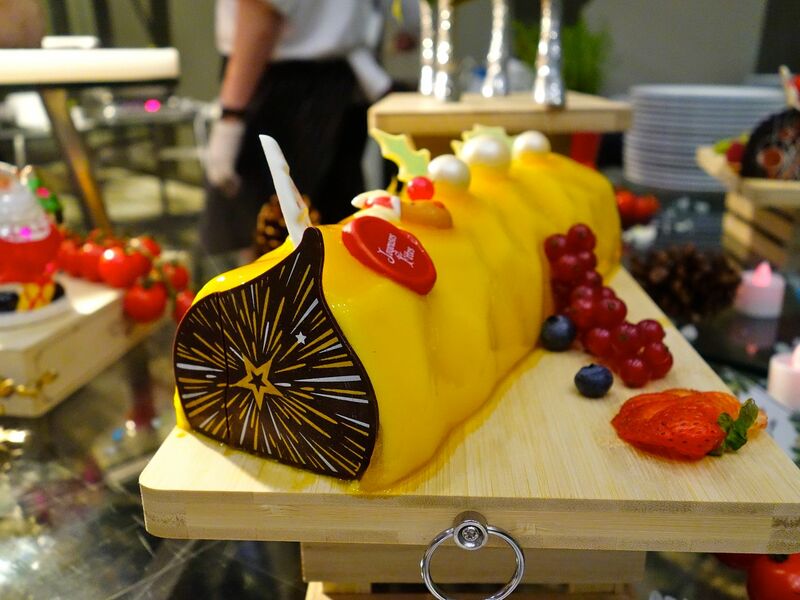 A must try is the William Pear Log Cake (1kg for $58), a perfect ending to a heavy Christmas dinner. I enjoyed the light airy texture with hints of the fragrant fruit. The Chocolate Banana Log Cake (1kg for $58) was big on flavors but doesn't weigh down the appetite as well. 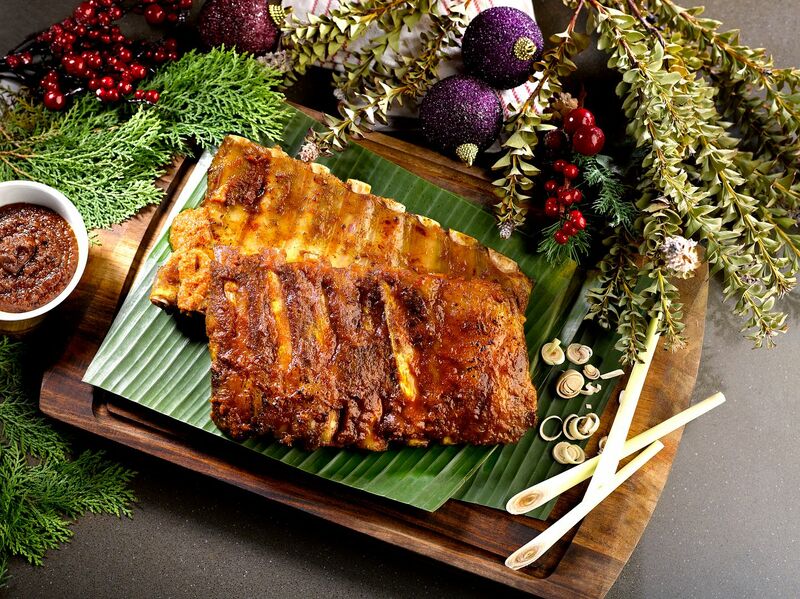 It's worth getting out of the house for a Singaporean-Peranakan Christmas at Hotel Indigo Singapore Katong's Baba Chews Bar and Eatery. 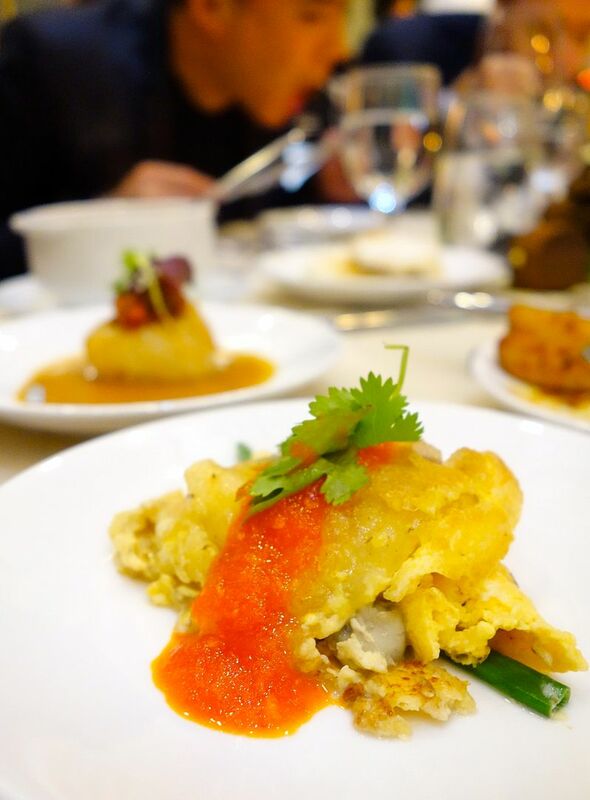 Hell, i've already made my brunch reservations for their Christmas Brunch buffet ($58/pax) in order to bite into that AHMAZING fragrant and spongy Pulled Pork Pongteh Crepe, and eggy Oyster Cincalok Omelette. Desserts are localized too with some Salted Egg Kaya Macarons, Teh La "Milo", Pandan Stollen and Lychee Crème Brûlée. 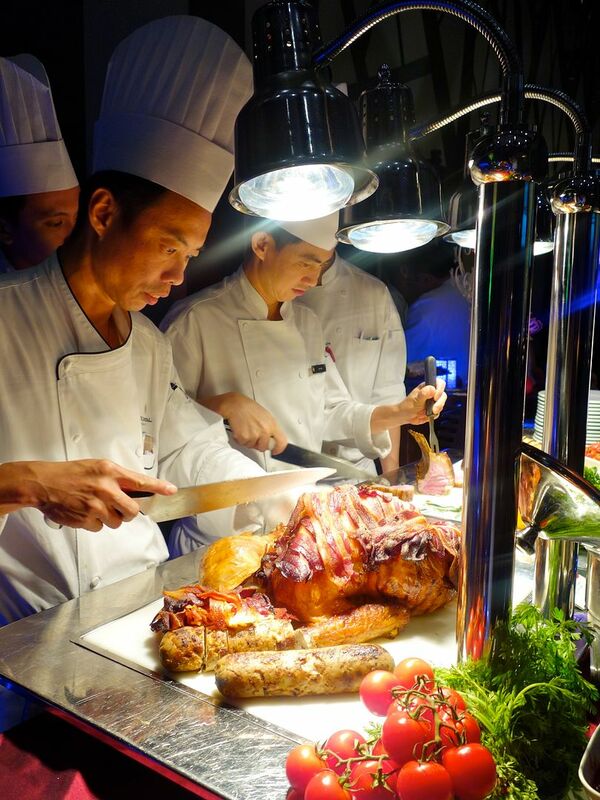 If you miss that, there's also the Festive Weekend Brunch ($38/pax) which also serves similar items. Other Peranakan takeaways include the USDA Prime Beef Short Rib Rendang (2kg for $168) topped accompanied with Hainanese rice and home-pickled achar, and the Lemongrass Pineapple Gammon Ham (3kg for $158) which comes with a homemade lemongrass pineapple jam.